Join us during Spring Break for Teacher Appreciation Week! 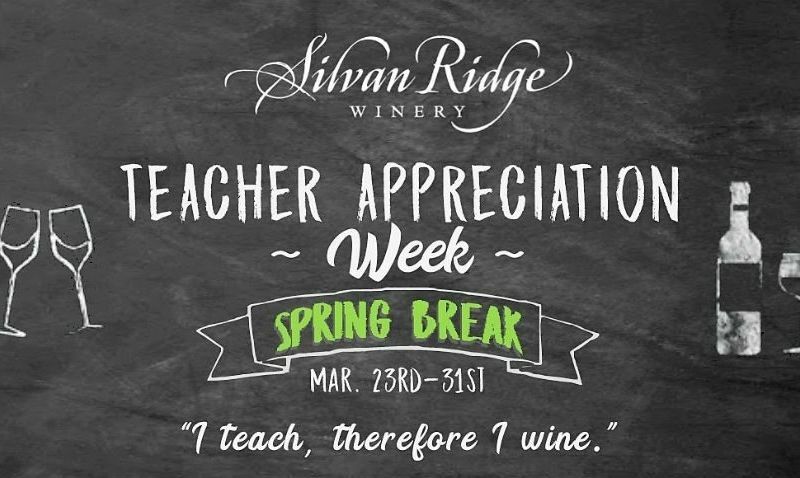 March 23rd-31st, we will be honoring teachers, professors, and educators of all kinds with wine specials and barrel tasting right here in our tasting room all week long. Plus, show your school ID and be entered to win daily drawings for gift certificates to use during our Friday night concerts this summer and also be entered for the grand prize drawing of a Wine Club membership for a year!